Attending, BMT Unit of Childrens Hospital of Hacettepe University and Center for Stem cell research and development of Hacettepe University. Interests: Hematopoetic stem cell transplantation, childhood leukemias, myelodysplastic syndrome, Fanconi aplastic anemia, nursing care in HSCT, mesenchymal stem cell research and therapy. - Graduate of Hacettepe University Medical School. - Attending at BMT Unit of Hacettepe University and Pediatric Hematology since 2003. 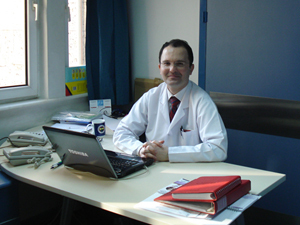 - Member of “Stem cell Transplantation and Cellular Therapy Society” in Türkiye.